Eggs are a true superstar ingredient when you’re on the hunt for a versatile and tasty food to use as a base for a quick meal. 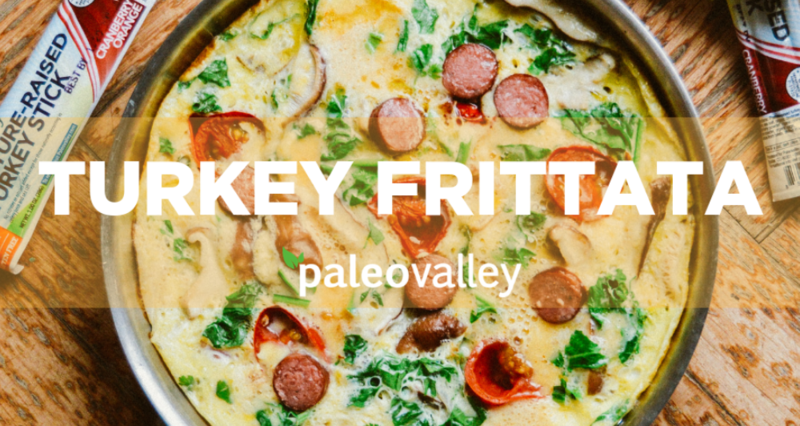 Here, we capitalize on this versatility by whipping up a decadently simple stovetop turkey frittata. This frittata can be eaten for breakfast, lunch, or dinner as a complete meal since it’s loaded with veggies (feel free to incorporate your favorites!) 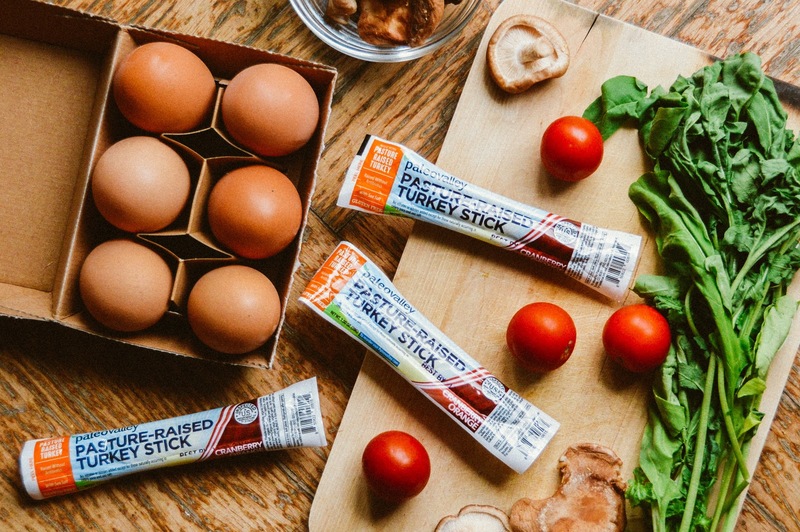 and protein from fresh eggs and our pasture-raised turkey sticks. Eggs are filled with important nutrients like vitamin A, which helps prevent aging, and choline, which boosts and maintains brain health. Mushrooms, if you choose to use them, are also superfoods that contain compounds that help boost your immune system. 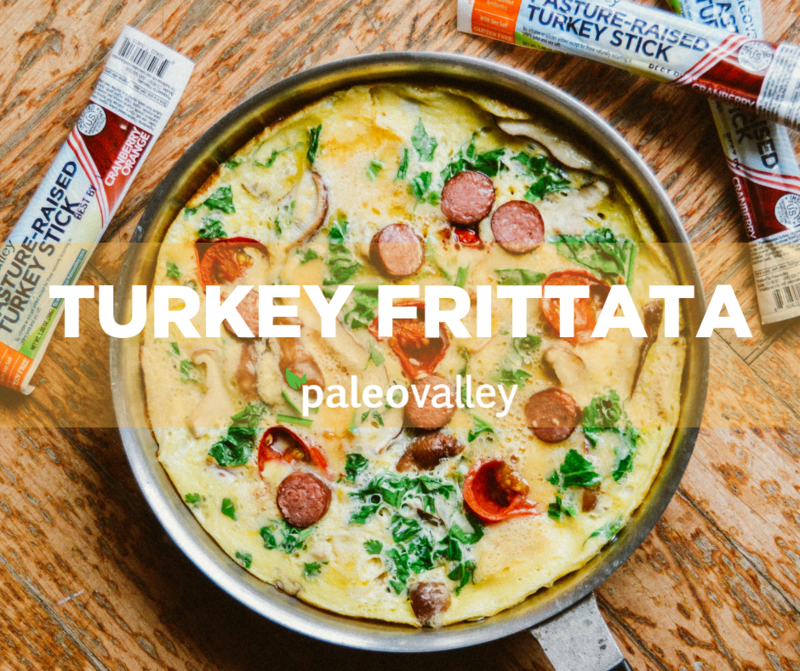 You can also feel great about indulging in our pasture-raised turkey sticks, which aside from adding a rich smoky flavor to your frittata, come from happy turkeys foraging on pesticide-free pastures. Whip up this frittata in roughly 30 minutes and serve 8 people, or store leftovers to eat throughout your week. Crack eggs into a large bowl and add coconut milk and salt. Whisk until thoroughly combined. Set aside. Thinly slice 1 or 2 turkey sticks. Warm the olive oil in a large skillet on the stovetop. Add vegetables of choice and saute for a few minutes until soft. Add the turkey slices and greens and stir until wilted. 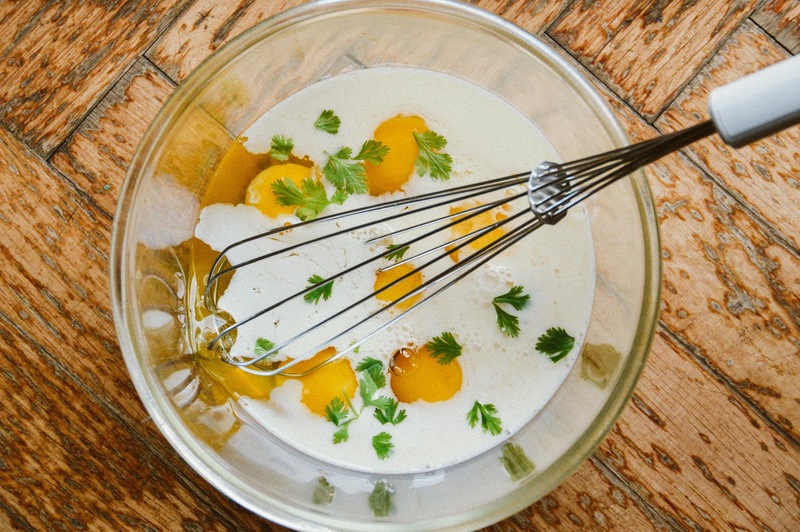 Whisk the eggs again and pour over the vegetables and turkey slices. Stir lightly to mix in the vegetables with the eggs. Cook for about 1 minute on the stovetop, then carefully transfer to the oven. Bake for 8-15 minutes until the eggs have puffed up and cooked, and the center of the frittata wiggles just slightly when you gently shake it. Remove the frittata from the oven and let cool. Garnish with herbs, slice, and serve. Keep our Pasture-Rasied Turkey Sticks on hand, and whip this decadent meal up anytime you’re craving an easy, delicious, and nutrient-dense meal.